There are several ways you can support The Foundation. 1. Twice a year we send out an appeal letter to the residents of the community. You can respond with a donation at that time. 2. You can make a Tribute Donation in honor of or in memory of someone for a particular occasion, i.e., birthday, anniversary, in memory of, etc. (form is below). 3. Purchase personal note cards to benefit The Foundation. 4. Do you shop on Amazon? If so, you can sign up at smile.amazon.com, designate The Foundation of Laguna Woods Village as your charity, and a percentage of your purchase(s) will be donated to us. (See instructions for signing up below or use his link: smile.amazon.com/ch/33-0757151 ). A wonderful way to honor friends and family is with a donation made in their name. Once your donation has been received, a tribute card will be mailed to the person or family you designate. The amount of the gift will not be disclosed. In order to make a Tribute Donation please fill out the form below, click on the "Submit" button, then click on the Donate button to complete your donation on a secure website. In honor of (Perfect for Birthdays, Holidays, Weddings, Anniversaries, or any other celebrations). In memory of (Commemorate a friend or loved one’s life with a gift donation). Perfect for Birthdays, Holidays, Weddings, Anniversaries, or any other celebrations. Please fill out the name and address of the person to whom the tribute card is to be sent. (If you do not want a tribute card sent, please leave this section blank). Looking for something different to give your grandchildren for the holidays? Are your grandchildren coming to visit and you are looking for something different to entertain them with? Wikidly Awesome Fun in Laguna Woods is the answer. A new activity book for kids, this book will turn a child’s visit to Laguna Woods into an amazing voyage of discovery. They will explore the clubhouses, visit the horses, check out the vegetable gardens, and splash in the pool. The book is filled with quizzes, puzzles, nature walks, drawing activities, and just plain fun. The book is also a treat for residents. The activity book helps you see things in the village that you probably miss. For example, do you know what the flowers spell out in front of Clubhouse 7? Do you know the English equivalents for the Spanish names of the Village’s streets? How many swimming pools are there in the Village? The book can be purchased directly from Miranda McPhee and Peggy Edwards, the two local residents who developed it, by calling them directly. Miranda McPhee can be reached at 949-445-2553, and Peggy Edwards can be reached at 949-707-5156. The cost is $8.00, and the proceeds from the sales will go to the Foundation of Laguna Woods Village. A sample copy is available in the Village library for review. Notecards are available in a box of five for a $15 donation, or individual cards for $3.00 each. These are beautiful heavy vellum fold-over cards with envelopes. They have images of flowers and beautiful sites around Laguna Woods Village. The inside of the card is blank and a notice of your donation is printed on the back. The cards are always available. You can e-mail us at thefoundation@comline.com or call us at 949-268-2246. Leave a message and someone will get back to you. 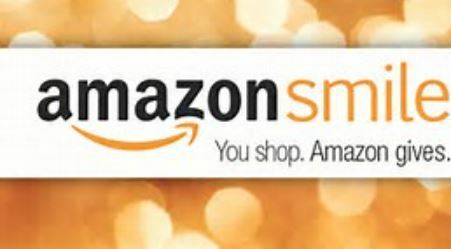 Now many of your purchases from Amazon qualify for a .5% donation to The Foundation of Laguna Woods Village, through AmazonSmile, which is a service provided by Amazon.com at no extra cost to you. 1. Visit www.smile.amazon.com and login using your existing Amazon account. 2. Select The Foundation of Laguna Woods Village as your charity. 3. When you want to shop on Amazon, go to smile.amazon.com, search for your product, make your purchase and let AmazonSmile do the donating.